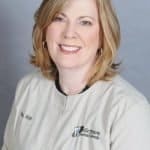 Lindsay has been a member of the Hellertown Dental Group team since August 2014. She graduated from Northampton Community College with an associate’s degree in dental hygiene. Lindsay currently holds a hygiene anesthesia license, which means she is able to administer local anesthesia. She is also certified in CPR and phlebotomy. Lindsay is essential to our office because she makes her patients feel comfortable and relaxed. She loves seeing patients’ oral health change and improve. When she is away from the office, Lindsay enjoys riding her Honda scooter, experimenting with her hair and makeup, listening to music from the ’70s, baking, decorating, and arranging flowers.